This advanced double fronted unit has been designed by our UK brand Ecosy+ at great expense and is designed to go between two rooms inside a fireplace or freestanding in the centre of a room. Each side includes air flow and air-wash sliders, enabling you to control the fire from both sides. 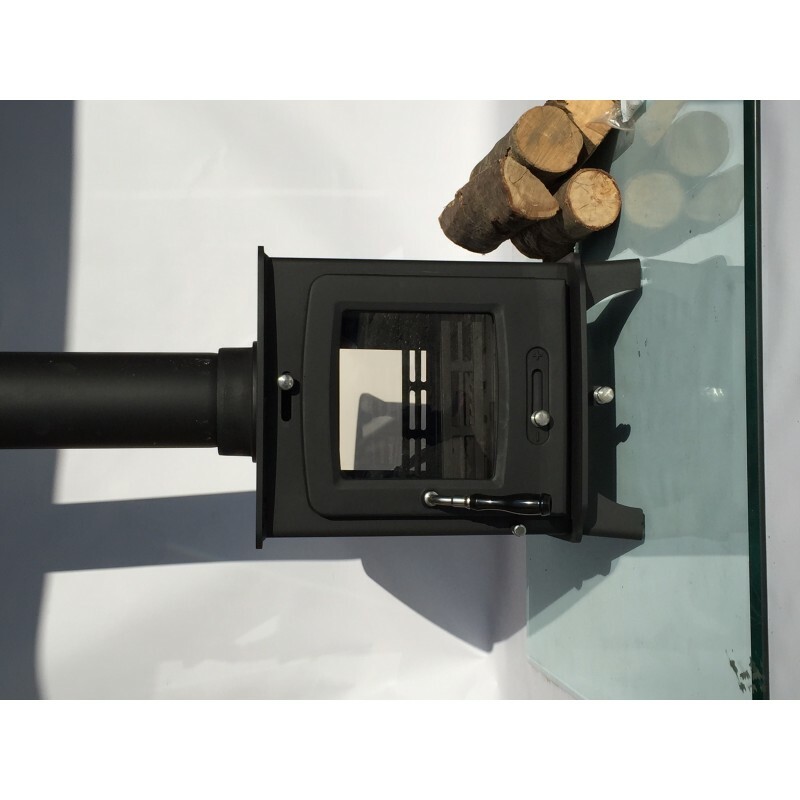 In our very bias opinion, we feel this stove is one of the best looking and up to date designs on the market and is backed up with a quality finish and a high efficiency output. This high efficiency is achieved by a modern secondary/tertiary burn system that forces air over the fire to re-ignite the initial smoke produced by the fire. This feature reduces the fuel required and produces less potentially harmful emissions. The stove features two Schott heat resistant glass fronted door that gives an amazing view of the fire from both rooms. These panes are kept clean with the advanced preheated airwash system that forces warm air over the glass. Those of you who have had fires before will know this feature is very important, as looking at the fire roar is a real treat. 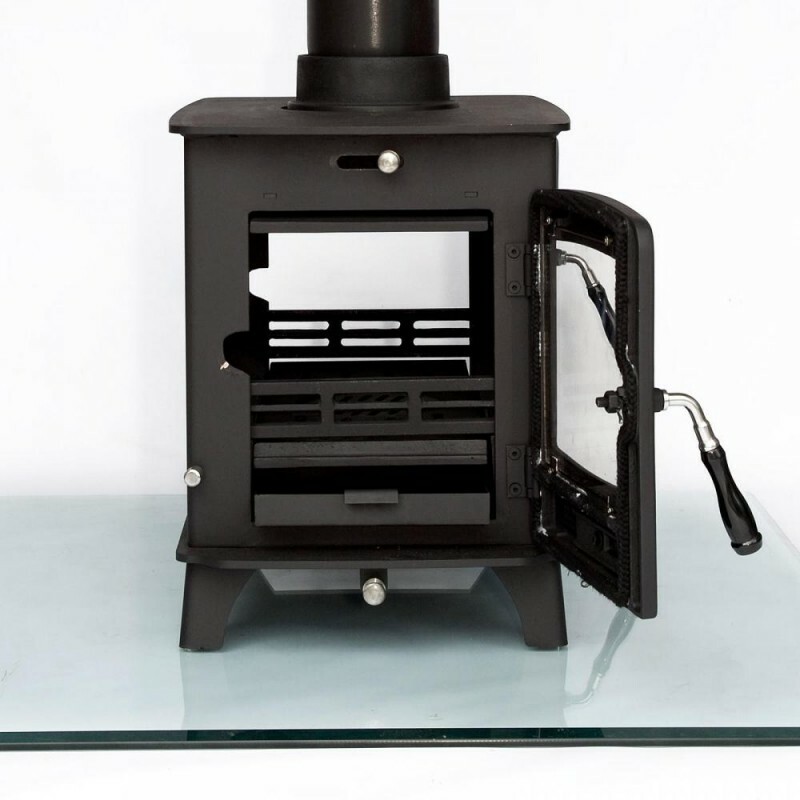 The stove has a hybrid construction that consists of a fully welded 5mm thick steel body and 10mm thick steel top and the doors are made from mineral cast iron with a brushed chrome handle. We are so confident of its quality that we offer a 5 year guarantee; something that is not offered on any other stove around this price. Note: This stove will come with a flue collar included but no flue pipe itself. This listing has the option of adding a length of flue pipe to the order; other flues, liners and parts are sold in our eBay shop. 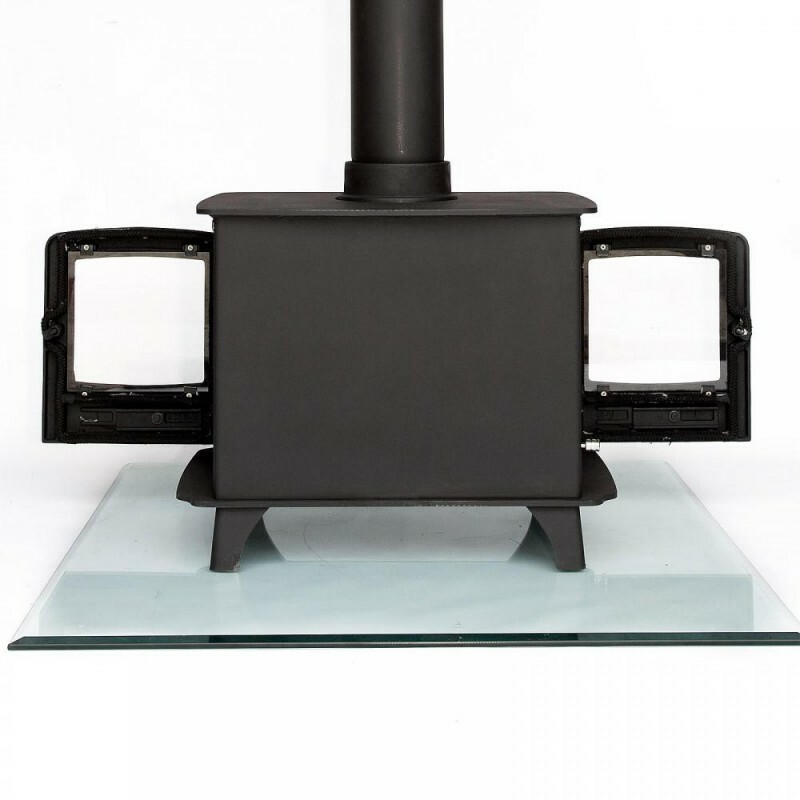 The 8kw Double sided has an advanced secondary clean burn system that is controlled by a chrome pull lever on the base of the stove. This lever opens and closes a vent that forces air over the fire, re burning the initial smoke emitted by the stove. This makes the stove a lot more efficient and eco friendly saving you a large amount in fuel costs. 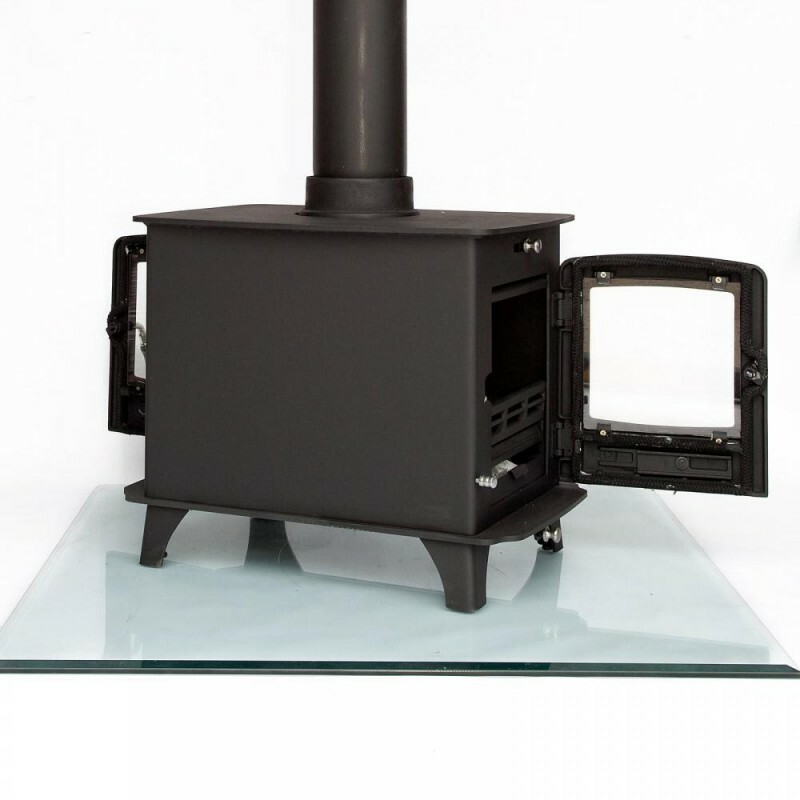 The Ecosy+ 8kw Double sided has an excellent overnight burn system. Its air tight door gaskets and manually controlled air flow controls allow you to close the stove right down overnight and wake up to a warm house in the morning. All you will need to do is reopen the air controls, add a little coal or wood and watch the fire roar again. 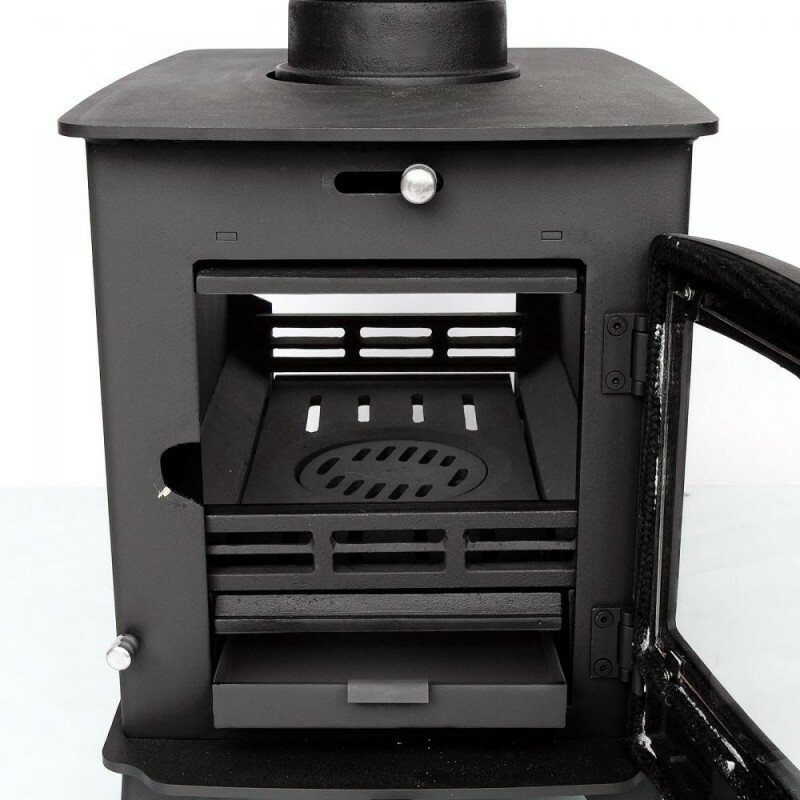 Cast iron Multi-fuel ash riddle grate for burning wood and smokeless coal. Slow over night burn can be achieved with the advanced air systems. Smooth and tight locking air controls. 5 year guarantee - see above. Height : 520mm, 20.47 inches. Depth : 640mm 25.19 inches. Fittings Chrome fittings and long heat proof handle for easy use and leverage. Burn Length Deep overnight burn with secondary, clean burn. Legs Fixed steel legs to body. No assembly needed. Distance from back of stove to centre of top flue outlet Flue is in the middle of the stove. Please note that this is the price for delivery of Ecosy+ 8kw DOUBLE SIDED Multi-Fuel Woodburning Stove , WITH SECONDARY BURN, Dual Fronted only. The final amount might change depending on the contents of your shopping bag when you check out.